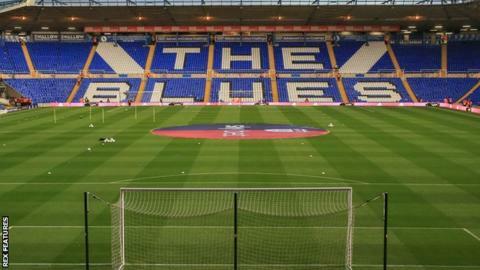 Birmingham City will be deducted nine points by the English Football League for breaching profitability and sustainability rules, reports BBC WM. The sanction would see Blues drop from 13th to 18th in the Championship, five points above the relegation zone with eight games to play. 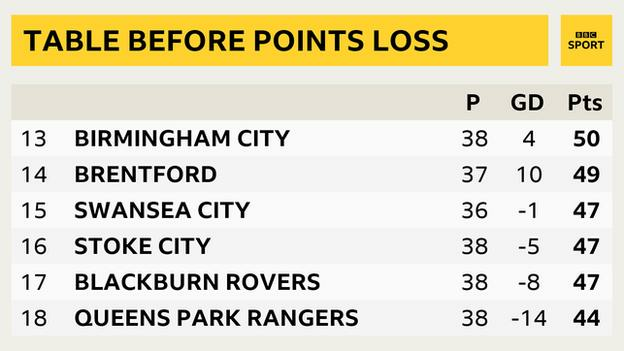 Losses in excess of £13m per year over a three-year period are not accepted under EFL rules. An Independent Disciplinary Commission considered the matter on Monday. There is no official confirmation of the punishment from the EFL at this stage, but it is understood that there will be no further financial penalties for the club, nor would they be under a future transfer embargo relating to this issue. 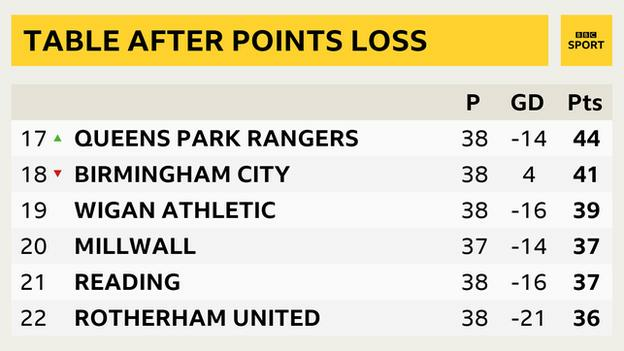 They are the first club to be deducted points since the EFL introduced its new profitability and sustainability regulations at the start of the 2016-17 season. In January Birmingham revealed a £37.5m loss in the 12 months to the end of June 2018, largely a result of their wage bill rising from £22m to almost £38m after an extensive recruitment drive in the summer of 2017. In July 2018, they were put under a transfer embargo, which was lifted before Championship clubs were warned at a meeting in September of potential penalties – as high as 21 points – for breaches of spending regulations. Blues had, by then, been given permission to sign five more loan players in August, but they were allowed only one signing in January.